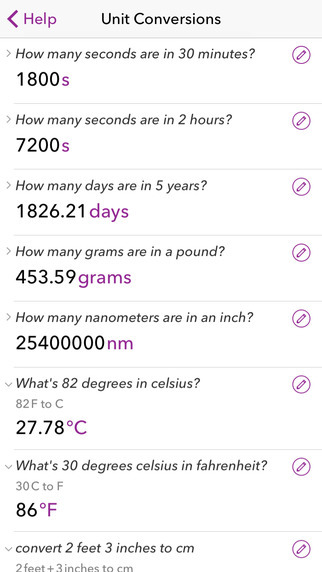 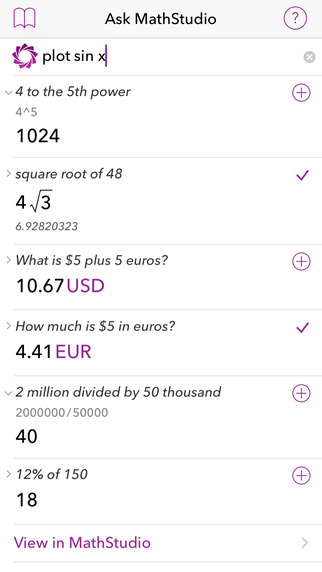 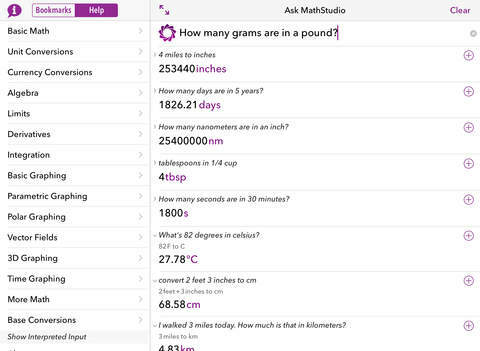 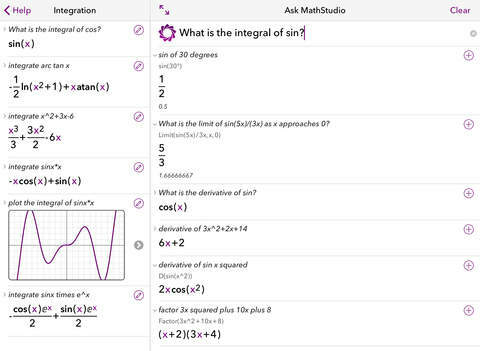 Ask MathStudio gives you instant answers to your math questions using natural language. 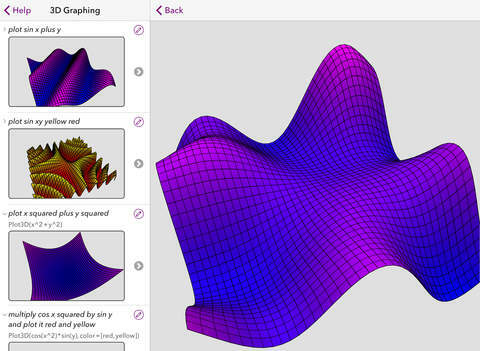 Interact with graphs by touch or pinch! 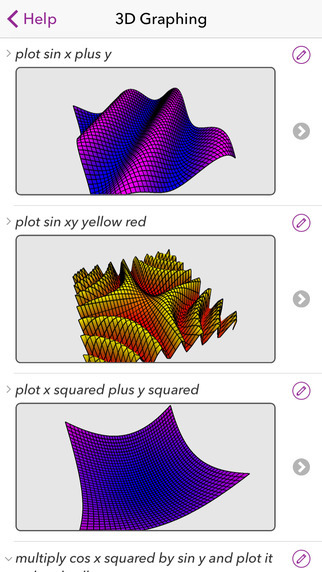 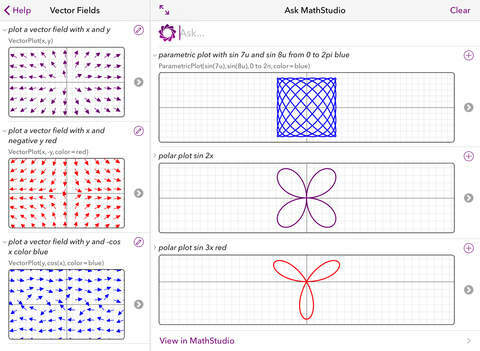 Use Ask MathStudio in your web browser!